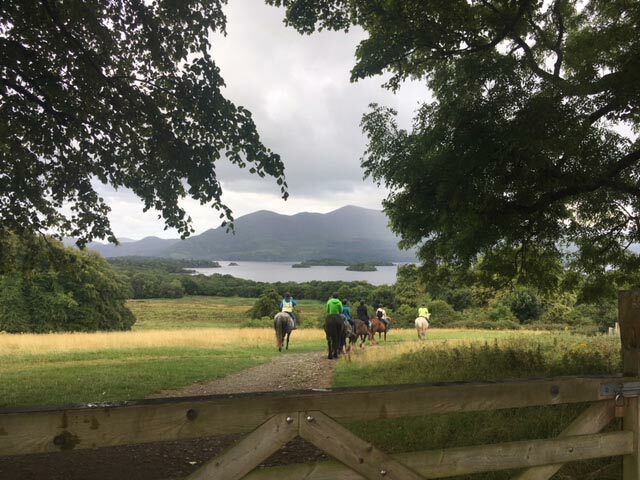 Located about a mile west of Killarney Town and known locally as “O’Sullivan’s”, Killarney Riding Stables were established in 1968 by Donie O’Sullivan and is still very much a family business with Donies wife Noreen, their two daughters Lorraine and Aoife, and son William all involved. The Stables are home to some 70 horses who have been pampered even more than usual with the recent completion of new stabling constructed to the very highest standards. 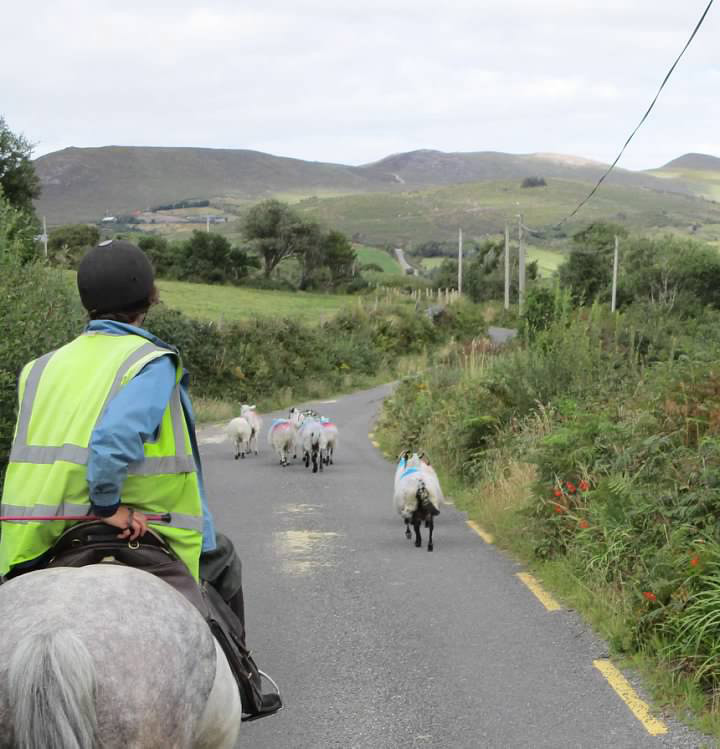 Being adjacent to the Killarney National Park, the casual customer can enjoy daily rides of one, two, or three hours. 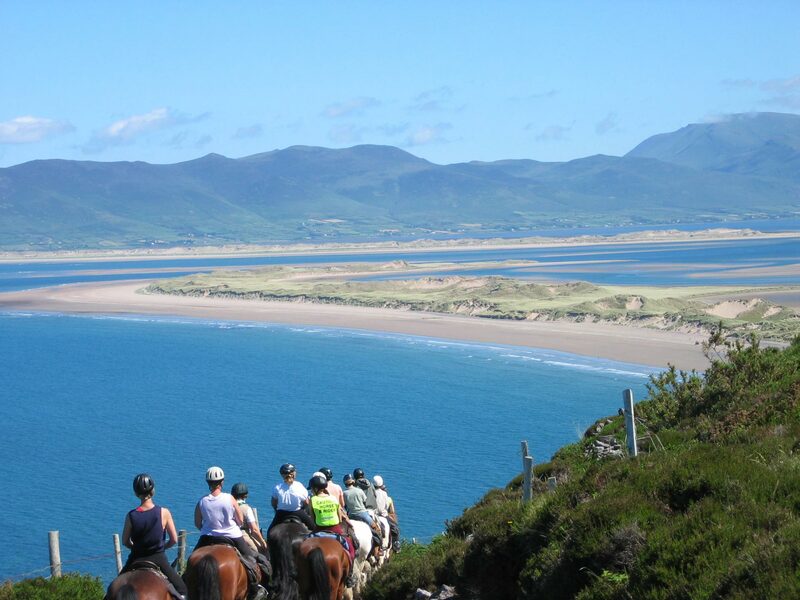 Situated in South-West Ireland, County Kerry boasts some of the finest scenery in the world. It is an inspiration of the poet and artist with its high mountain ranges, its inlet studded coast, its woods, lakes, waterfalls, the everchanging drama of its skies, and the eloquence of its people. It is the delight of the antiquarian and archaeologist, rich in Bronze Age tombs, ring forts, standing stones and early Christian monastic ruins. 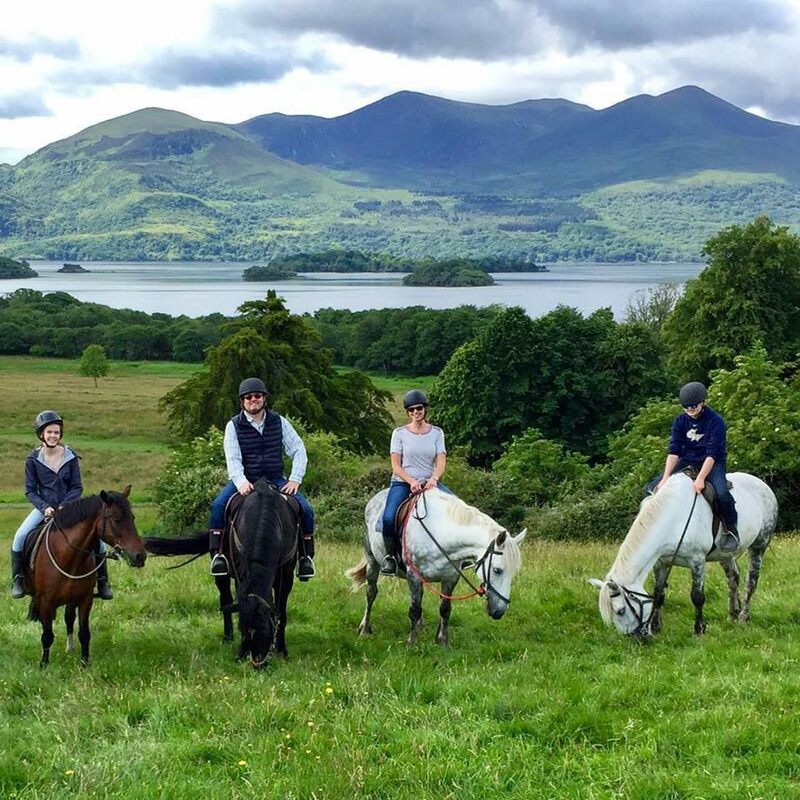 Killarney Riding Stables offers Hacking, Trekking and Trail Riding into the ‘Killarney National Park’ for one, two and three hours. The trails go into the Knockreer Estate beside Lough Lein, (the largest of the three lakes in Killarney). Taking in stunning views of Ross Island, panoramic views of Innisfallen Island & Surrounding Mountains. The Kenmare Estate and the majestic mountains surrounding Killarney can all be appreciated. All rides are supervised by guides with special care taken of nervous or beginner riders, all levels of riding experience are catered for (walk, trot and canter depending on ability), riders are grouped according to their abilities. 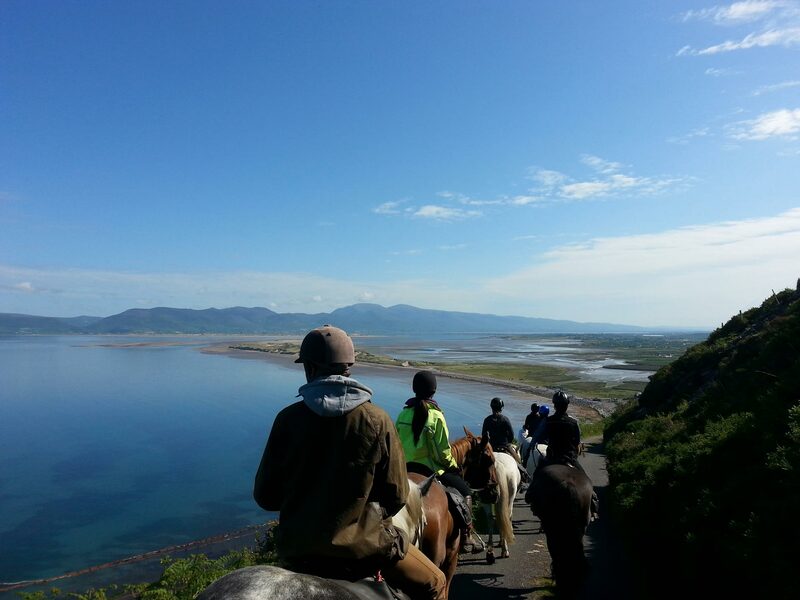 Explore the highlands of Kerry with the majestic McGillycuddy Reeks, Ireland’s greatest mountain range; ride on country lanes, mountain tracks (on one of the few post-to-post trail rides available in Ireland) through forests, over bogs and on some of the beaches at Waterville and on the magnificent 6.4km (4mls) stretch of golden sand at Rossbeigh. 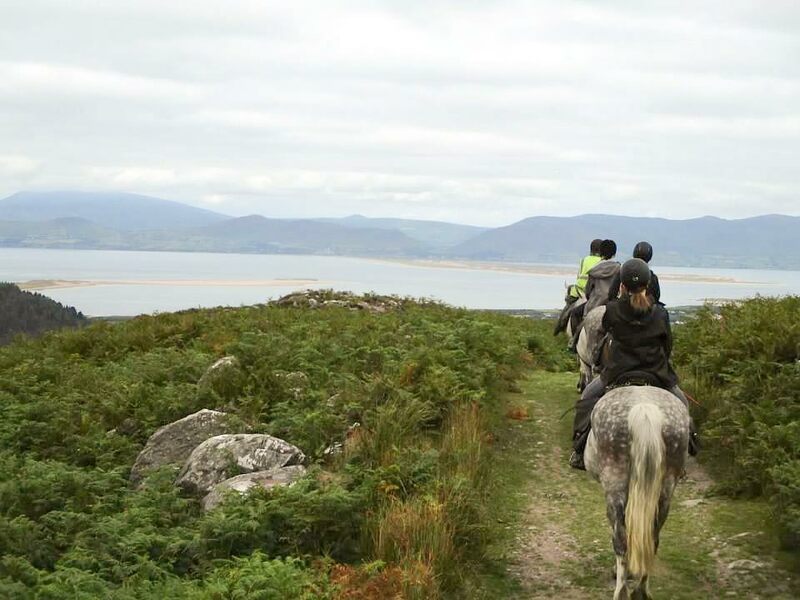 The Iveragh Peninsula with many places of archaeological and historical interest stretches south west from Killarney for nearly forty miles and is highlighted by the world renowned Ring of Kerry. 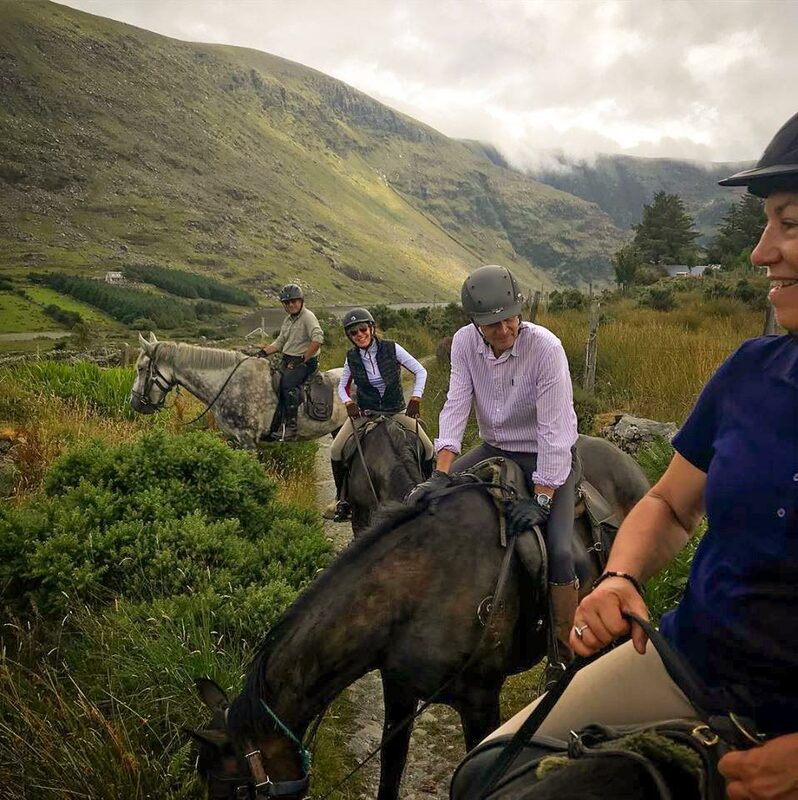 This trail riding holiday includes accommodation in Killarney, Glenbeigh and Waterville with luggage moved to each accommodation and lunch each day. 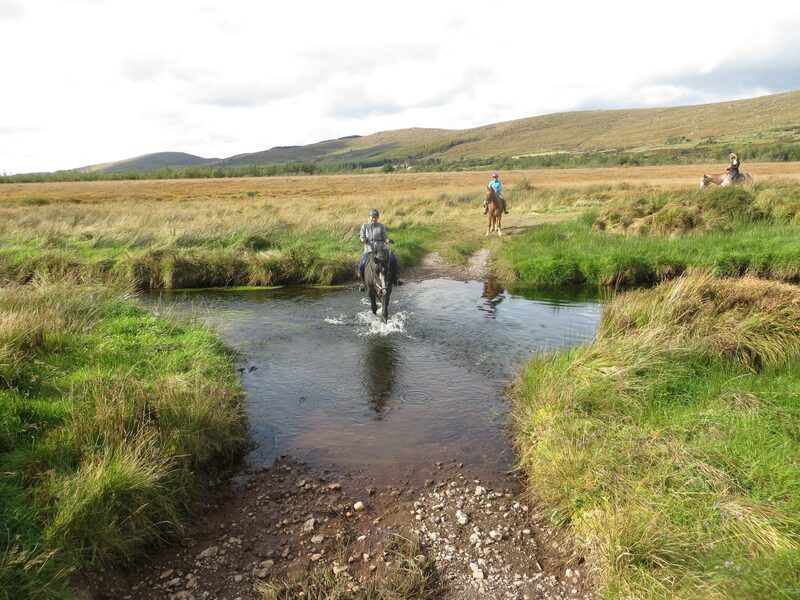 At all times the trail is accompanied by an experienced guide and special care is taken of nervous riders.